WASHINGTON — US Senator John McCain, the Arizona Republican who has been in his home state while battling brain cancer, underwent surgery because of an intestinal infection, his office announced Monday evening. 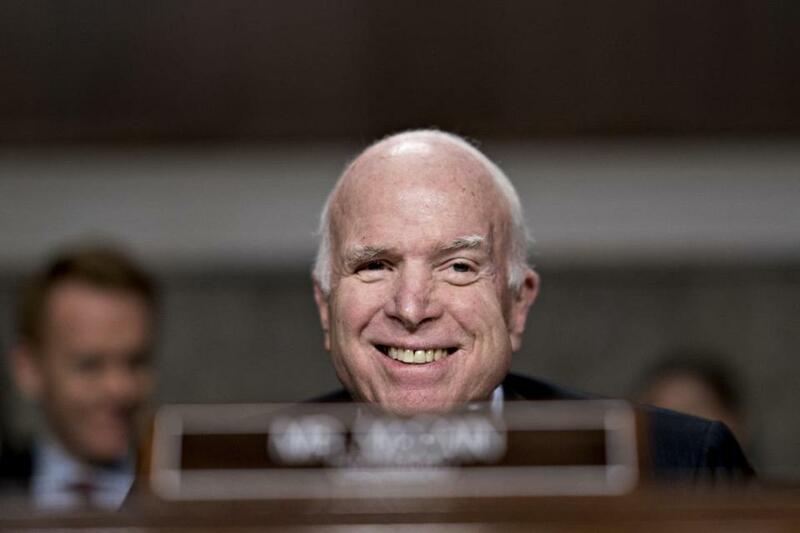 McCain, 81, is in “stable condition” after the surgery at Phoenix’s Mayo Clinic. The infection was related to diverticulitis, which is caused by pouches forming in the wall of the colon. Doctors at the clinic diagnosed McCain in July with glioblastoma, an aggressive form of brain cancer that took the lives of Senator Edward M. Kennedy, the Massachusetts Democrat, and former Vice President Joe Biden’s son. McCain returned to Congress and maintained a relatively regular congressional schedule through the fall as he underwent chemotherapy and radiation treatments. By December, however, his body had become weak, and he returned to Arizona to continue his treatments and go to physical rehabilitation to try to regain his strength. While he is in Arizona, McCain’s office has issued regular statements about his positions on all manner of policies. Senate colleagues who have spoken to him report that his mind is sharp, but his office has given no indication about when he will be able to return to the Senate. If McCain were to resign before the end of May, Arizona Governor Doug Ducey, a Republican, would appoint an interim senator and there would be a special election in November. If the vacancy occurred after that point, Ducey’s appointment would serve through the 2020 elections. “On Sunday, Senator McCain was admitted to Mayo Clinic in Phoenix, Arizona, and underwent surgery to treat an intestinal infection related to diverticulitis. He is in stable condition. “Over the last few months, Senator McCain has been participating in physical therapy at his home in Cornville, Arizona, as he recovers from the side effects of cancer treatment. He has remained engaged on his work as Chairman of the Senate Armed Services Committee, and has enjoyed frequent visits from his family, friends, staff and Senate colleagues.